It’s an age old question; what’s the difference between a manager and a leader? Can you be one without the other? Both terms are often interchanged and intertwined, however many simple definitions will show obvious differences. Management is described as completing tasks through other people (the fine art of delegation!) whereas a leader is generally defined by their behaviour (leading by example). James Caan recently affirmed this differentiation, writing that managers delegate, while leaders inspire. Leaders such as Martin Luther King and Winston Churchill are not known as such because of their administrative qualities, and their legacies last to this day due to the charisma they demonstrated in inspiring millions to follow. No matter how exceptional the delegation, it is much more difficult to name inspirational managers. Identifying the difference between the two can be easy, but defining where the two differ can be challenging. 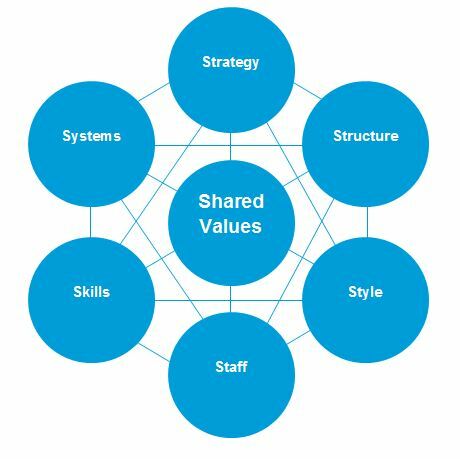 An easy way of portraying these differences was described by Craig Watson in the early 80’s, using the McKinsey 7-S framework, stating that managers are often concerned with the strategy, systems and structure of an operation, whereas leadership tends to utilise the skills, style and staff; far more related to the individual’s attributes than processes. Although these qualities could relate to either the manager or the leader, the common theme shared by the two is the shared values. Both roles are concerned with facilitating a collaborative effort to achieve similar outcomes. For example, the captain and manager of a football team may have very different duties and concerns, yet both share the same values in achieving a win for the team.